Looking for movie tickets? 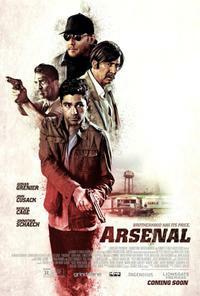 Enter your location to see which movie theaters are playing Arsenal near you. When Mikey is kidnapped and held for a ransom by ruthless crime boss Eddie King (Nicolas Cage), JP turns to the brothers' old pal Sal (John Cusack), a plain clothes detective for help.